What more do we want out of life than to be healthy and happy? For those of us with a hectic schedule, it sometimes becomes difficult to follow a thorough regime that consists of just nutritious snacks. Also if we're honest here, the majority of the time, we crave a donut over a plain green apple. Yes, it is tough to stay fit in a world full of added sugars and professional marketers. But here’s what you need to watch out for next time you’re grocery shopping and carelessly dumping the following snacks in your cart. A bar that consists of dry fruits, nuts, and oats. It's no wonder granola bars are the “to go” snack for every American household. Not to mention its fulfilling and always a favorite with the kids. You'd think by combining some of the healthiest foods together; you would have a nutritional item on your plate. Unfortunately, that's not the case considering most granola bars on the market today contains as many as 20 ingredients. What's even worse is that most of those ingredients are just different names for sugar. Even though many granola bars contain the vitamin and minerals we need, it does not make up for the unpronounceable ingredients on the back label. There’s nothing like making your granola bars at home, so you are aware of what goes in it. Most recipes consist of less than ten ingredients and are super easy and quick to make. But if time is scarce, here is a list of granola bars that were rated healthiest by Spoon University. What's the difference between an energy bar and a candy bar? Nothing, they're both horrible snack choices packed with preservatives. In fact, there's not much difference between energy bars or granola bars, but marketers wanted to target a specific audience (athletes) to gain more publicity, so hence the word energy before the bar. Fun fact: Did you know that back in the in the 1960's that these were actually called "space food sticks"? They would be given to astronauts as they went into space because it was a lightweight food that could fit into their helmets! Ok, say we were to go back to reading the labels on the foods we purchase. A majority of energy bars on the market today contain high fructose corn syrup, artificial colors, and several types of sugars. With such a wide variety of flavors, it's difficult to believe that these bars were made for the sole purpose of providing nutrition. The fewer the ingredients, the better. Again, if you can’t find the time to make your energy bars at home, here is a list on which to buy. Some of these bars are all natural, gluten-free, dairy-free, soy-free, have no artificial flavors, colors, preservatives, and are vegan-friendly. A morning (and sometimes dinner) favorite. Here's a quick explanation of what refined grains means: anything crushed and molded into something unnatural. Your honey nut cheerios? They didn't come out of the ground looking like that. We all know that breakfast is the most important meal of the day. That’s why when it comes to promoting health; there are several cereal brands ready to take the stage. The truth remains, cereals are loaded with added sugar that goes undetected because of their popularity among breakfast foods. Don't let keywords like whole grain mislead you into believing this is what makes a nutritious breakfast. The only problem with cereal isn't just all the false health claims; it's that it's marketed towards children. Yes, your children. 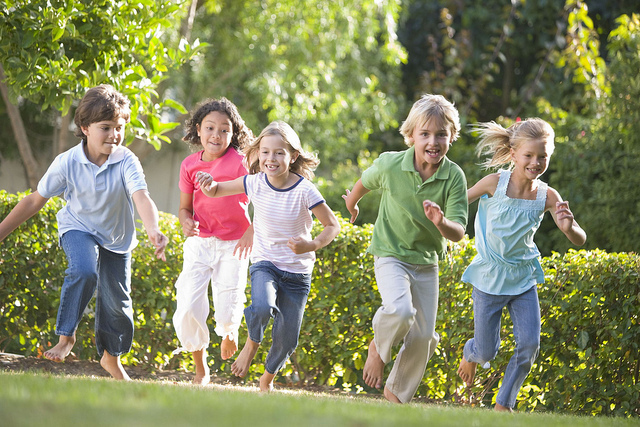 Read more about childhood obesity here. Well, it's got the word veggie in it, that's always a plus. When I first discovered veggie chips, I was hooked immediately. To me, they were the perfect snack since chips were my weakness. It’s true, veggie chips are made from real vegetables, but what I failed to consider at the time was the fat and sodium levels. While they are a better choice than regular potato chips, once ounce of veggie chips contains 101 milligrams of sodium. I know it doesn't sound like much but if you're a mindless eater and can eat the whole bag in one sitting, raise your hand. Greek yogurt is excellent as pre or post workout snack. It's light, versatile, and protein filled. But what happens when that yogurt comes in over ten different flavors and is packed with unnecessary ingredients? For one, it defeats the purpose of being completely healthy. While it is high in protein and probiotics, you need to watch out for high sugar content. Some yogurts come with a side of nuts, granola, dried fruits, which most of the time is coated with a sugary substance. Here is a list of the healthiest Greek yogurts. Despite this list, always read the ingredient label yourself and always look for a yogurt that offers less than five ingredients. In this case, the less, the merrier. There is so much controversy when it comes to dried fruits. Dried fruit is basically natural fruit but with all the water content removed through the drying process. Also, like natural fruit, dried fruits are loaded with micronutrients, fiber, and antioxidants. So why is it on this list? Because dried fruit is sweet and energy-dense, it is easy to eat large amounts at a time, which can result in excess sugar and calorie intake. Though it has its pros and cons, the best thing you can do is stick with the real thing. If dried fruits are a must, I suggest proportioning them into Ziploc bags, so you don't mindlessly overindulge. Once again, there is nothing better than the real thing. So many ingredients are sneaked past us that one wonders what real food even is anymore. If I informed you that these hidden ingredients are what’s causing you to gain weight, you'd find it hard to believe. To take the best care of your health, you first need to take care of what goes on your plate. We only have one body, the least we can do is nourish it with the right foods.